"Venom" is based on a character from Marvel comics (best known as an enemy of Spider-Man), but his standalone film is not part of the Marvel Cinematic Universe. It's akin to that "Catwoman" movie from 2004 that had nothing to do with Batman. It's all part of a complicated rights issue between Disney (owners of the MCU), Marvel, and Sony (owners of this film). My guess is that the people at Disney could have gotten their hands on this movie if they really wanted to, but they decided that this was simply not a battle worth choosing. Given the shoddiness of the film, I can't say I blame them. Tom Hardy stars as Eddie Brock, a San Francisco-based human interest reporter known for exposing problems, though he never seems to follow through with solutions. He's ordered to do a piece on billionaire science mogul Carlton Drake (Riz Ahmed), who wants to prove that his company has no problems to expose. Except that there are problems - Drake's company has been conducting illegal human trials involving symbiotic lifeforms found in outer space. Eddie found out the confidential information by snooping on the laptop of his lawyer fiance Amy (Michelle Willaims), and the displeased Drake costs them both their jobs in an instant. Amy dumps Eddie, but he's compelled to continue investigating Drake. He breaks into one of Drake's labs and discovers the symbiotes. One of them attaches itself to him and he's able to escape the heavily-guarded facility with unprecedented physical prowess. Eddie goes home and tries to compose himself, but that darn symbiote that now lives inside of him keeps causing trouble. The thing, called Venom (also Hardy), talks to him, causes his body temperature to fluctuate wildly, and instills a craving for heads. Not the heads of any creature in particular, just heads. Drake, meanwhile, is leeched by another, more evil symbiote called Riot who promises him that if he lets him travel back to his home world on the company spaceship, he can bring more symbiotes to Earth in order to save humanity, making Drake the savior he's always wanted to be. Venom knows that Riot's real plan is to tell the other symbiotes that Earth will be easy to conquer, and letting him off the planet will spell doom for humanity. He and Eddie will have to work together if they want to save the world. 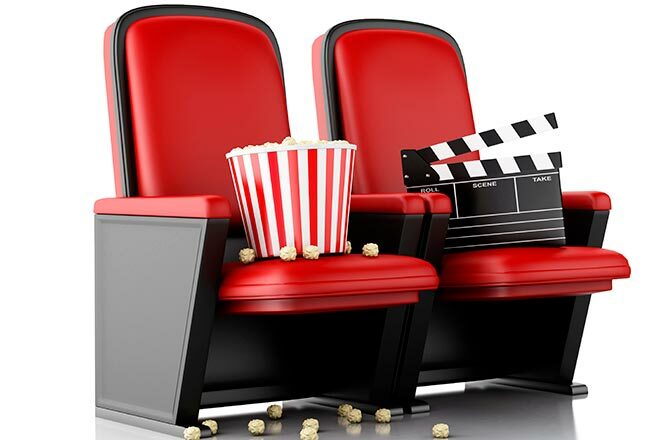 The latter half of the film is filled with action sequences involving Eddie and Venom, Drake and Riot, and Drake's goons. This is problematic because the film doesn't do action well. Almost all of it takes place at night, so already things are murky, and then both Venom and Riot are an inky black color, which makes it even harder to see their movements in the dark. But as difficult as they are to see, it is very clear that they are made up of bad CGI. All these factors plus bad editing make for a finale where you can't tell who's doing what, who's winning, or even who's still alive. "Venom" might be the single dullest superhero movie of this era. You can tell where the writers were just dispassionately plugging story elements into their required roles. Hero in need of redemption? Check. Love interest who tells them they need to grow up and stop being so selfish? Check. Villain who runs a big science-y corporation? Check. Another villain, this one from outer space, who wants to turn Earth into just another planet they conquer? Check on that too. 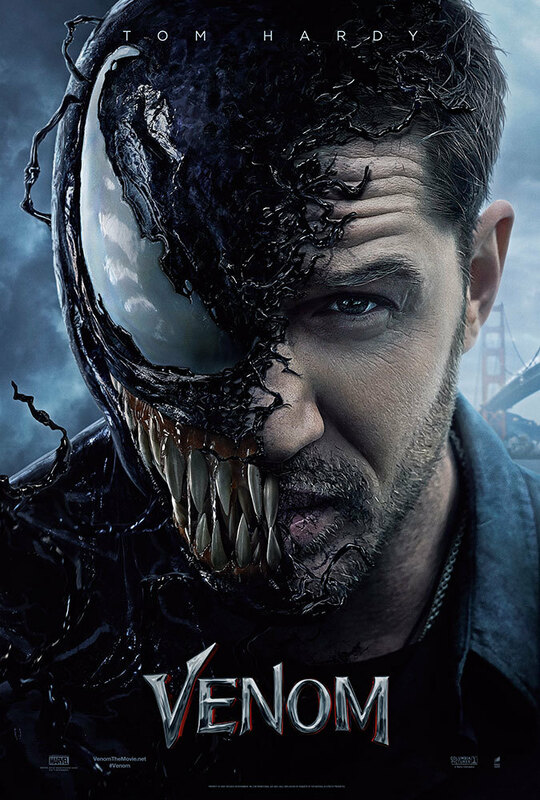 The only time the movie is halfway interesting is when Eddie is arguing with the lowbrow Venom, and even that is kept to a minimum (supposedly around 45 minutes were cut from this movie, and the speculation is that it was R-rated banter that would have made the film less accessible to teenagers, but a lot more watchable for adults). "Venom" may not be a disaster, but that's only because it doesn't have the ambition to try anything potentially disastrous. "Venom" is rated PG-13 for intense sequences of sci-fi violence and action, and for language. Its running time is 112 minutes.